A public lecture by Jon Blundy, Professor of Petrology, University of Bristol and 2019 UWA Robert and Maude Gledden Senior Visiting Fellow. Volcanoes are best known for their potential to wreak havoc, through catastrophic eruptions and climate-changing gas emissions. However, volcanoes also furnish humankind with considerable bounty, in the form of fertile volcanic soils and metal ore deposits. Any geological account of volcanoes must explain the tendency of some magma systems to evolve towards eruptions, while others solidify underground, sometimes forming ore deposits. Can a single model explain both outcomes? In this public lecture Professor Blundy will discuss how our concept of volcanic systems has evolved in the light of recent geophysical and geochemical studies from the classic magma chamber concept, so beloved of textbooks, to a more nuanced system of partially molten rock that straddles the entire crust of the Earth. 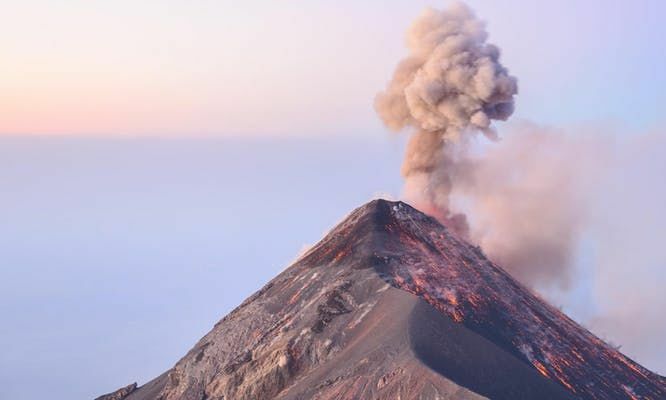 Professor Blundy will explain how such ‘transcrustal magma systems” can account for apparent dichotomy of outcome (“ashes or ores”) and what such systems mean for the monitoring of restless volcanoes.